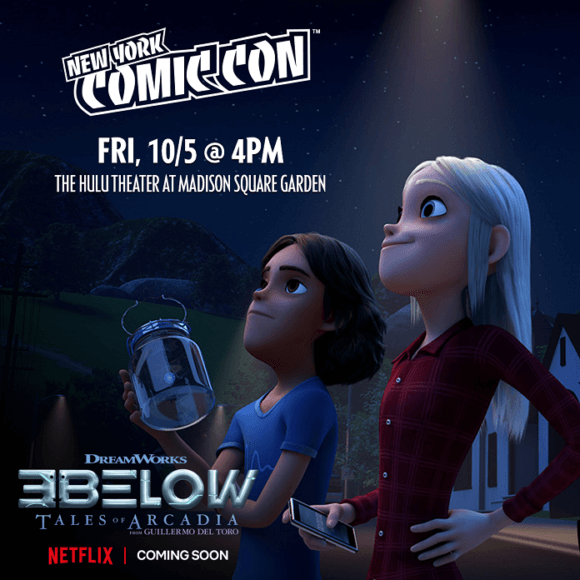 DreamWorks Animation Television announced Oscar winner Guillermo del Toro (The Shape of Water) will be returning to the New York Comic Con as part of the panel for the new Netflix series, DreamWorks Tales of Arcadia: 3Below. The just-announced Tales of Arcadia panel will be part of DreamWorks’ New York Comic Con lineup that includes previously announced panels for DreamWorks She-Ra and the Princesses of Power and DreamWorks Voltron Legendary Defender. Among the talent representing DreamWorks’ series will be Diego Luna, Aimee Carrero, Karen Fukuhara, Bex Taylor-Klaus, Josh Keaton, Jeremy Shada, and Kimberly Brooks. This year’s New York Comic Con runs October 4th through 7th, with DreamWorks Animation Television’s panels set for October 4th and 5th.